The Palos Verdes Peninsula is best known for its picturesque setting and breathtaking views, dramatic natural landscape, prestigious neighborhoods, and overall aesthetic beauty. 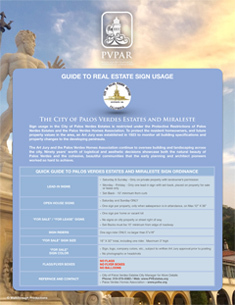 The city sign ordinances are in place to ensure that the Palos Verdes community and those who enjoy are assured it will maintain its character and heritage by keeping the streets and views free of non-compliant signage within the Palos Verdes Peninsula community. 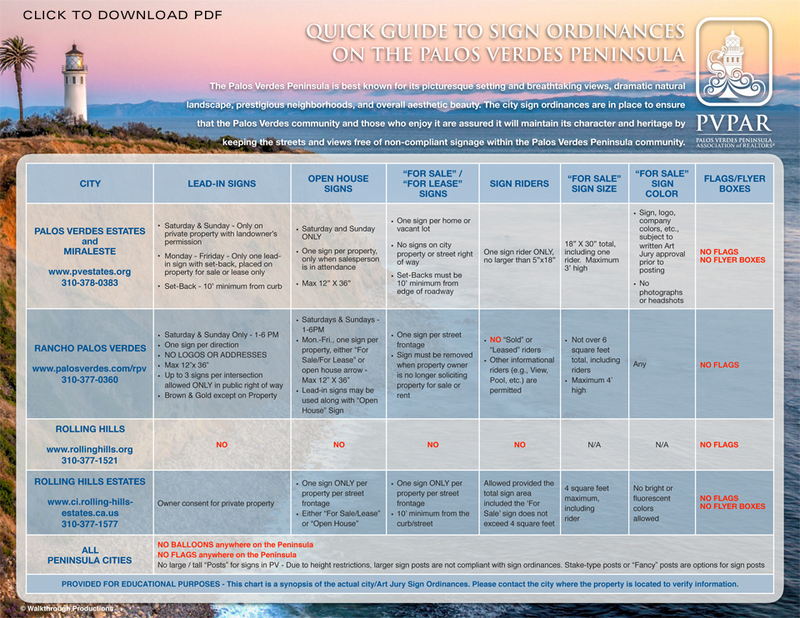 This Quick Guide to Sign Ordinances on the Palos Verdes Peninsula is provided to you for Educational Purposes. It can be quite confusing for real estate professionals to know and understand what is and what is not allowed on the PV Peninsula. 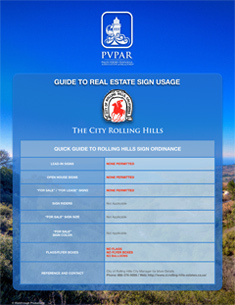 The usage of real estate for sale signs on a property, lead-in signs for directions to open houses, and sign usage for overall marketing purposes vary from city to city on the Hill. 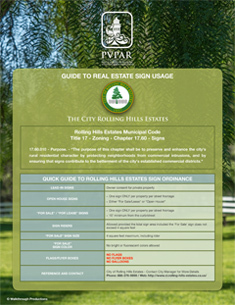 Follow this quick guide to be sure you remain in compliance with local ordinances. 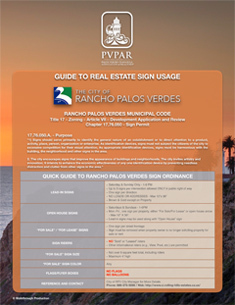 Compliance with the local sign ordinances show property owners and residents alike that real estate brokers and agents on the Peninsula are knowledgable professionals who understand the do's and don'ts of selling properties and are dedicated to keeping Palos Verdes beautiful.